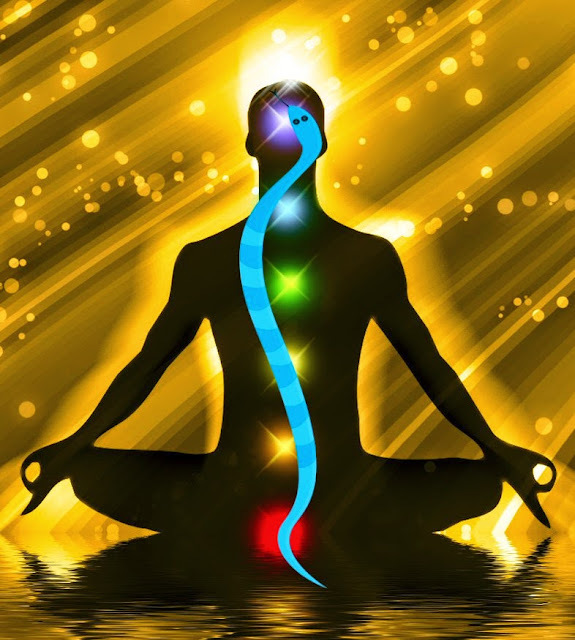 Kundalini is a Sanskrit word that literally means “snake.” Kundalini is also called “serpent power” because this sleeping spiritual force in every human being lies coiled at the base of the spine. Once awakened, it rises through a series of centers, also called chakras, and finds expression in the form of spiritual knowledge and mystical visions. According to the Tantric tradition, the human body contains seven centers of subtle energy (chakras), referred to as “lotuses,” through whose channels the #kundalini rises. The concept of kundalini can also be examined from a strictly psychological perspective. From this perspective kundalini can be thought of as a rich source of psychic or libidinous energy in our unconscious. The kundalini is coiled up like a very tight spring, and when released there is sometimes an explosion of power. Properly directed, the kundalini will travel up a tube in the energy body that lies close to the spine. Without proper direction, the release of kundalini can be very uncomfortable and possibly damaging.